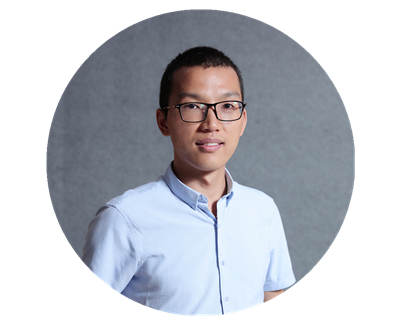 Fei Lou, Monireh Moayedi Pour Fard, Peicheng Liao, Md Shafiq Hai, Rubana Priti1, Yourui Huangfu, Chen Qiu, Qinfen Hao, Zhulin Wei , Odile Liboiron-Ladouceur, “Towards a Centralized Controller for Silicon Photonic MZI-based Interconnects,” Optical Interconnects Conference, San Diego, CA, USA, Paper 332298, (2015). Peicheng Liao, Meer Sakib, Fei Lou, Jongchul Park, Mitchell Wlodawski, Victor I. Kopp, Dan Neugroschl, OdileLiboiron-Ladouceur, ”Ultra-dense Silicon Photonic Interface for Optical Interconnection,” Photonics Technology Letters 27(7), 725-728, (2015). Rubana Priti, Fei Lou, Odile Liboiron-Ladouceur, “A high extinction ratio broadband 1310nm MZI switch, ” IEEE 12th International Conference on Group IV Photonics (GFP), 114 - 115, Vancouver, BC, Aug. 26-28 (2015). Fei Lou, Min Yan, Lars Thylen, Min Qiu, and Lech Wosinski, "Whispering gallery mode nanodisk resonator based on layered metal-dielectric waveguide," Opt. Express 22, 8490-8502 (2014). Maofeng Dou, Fei Lou, Mathias Boström, IverBrevik, and ClasPersson, “Casimir quantum levitation tuned by means of material properties and geometries,” Phys. Rev. B 89 (2014). Yuechun Shi, Xi Chen, Fei Lou, Yiting Chen, Min Yan, Lech Wosinski, and Min Qiu, "All-optical switching of silicon disk resonator based on photothermal effect in metal–insulator–metal absorber," Opt. Lett. 39, 4431-4434 (2014). Xi Chen, Yuechun Shi, Fei Lou, Yiting Chen, Min Yan, Lech Wosinski, and Min Qiu, "Photothermally tunable silicon-microring-based optical add-drop filter through integrated light absorber," Opt. Express 22, 25233-25241 (2014). Fei Lou, Lars Thylen, and Lech Wosinski, “Experimental demonstration of silicon-based metallic whispering gallery mode disk resonators and their thermo-tuning,” Optical Fiber Communication Conference/National Fiber Optic Engineers Conference (OFC/NFOEC), paper Tu2E.1, (2014). Fei Lou, Lars Thylen, and Lech Wosinski, “Ultra-sharp Bends Based on Hybrid Plasmonic Waveguides,” European Conference on Optical Communications, paper We.1.4.2, (2014). Fei Lou, Daoxin Dai, Lars Thylen, and Lech Wosinski, “Design and analysis of ultra-compact E-O polymer modulators based on hybrid plasmonicmicroring resonators,” Opt. Express 21, 20041-20051 (2013). Fei Lou, Lars Thylen, and Lech Wosinski, “Hybrid plasmonicmicrodisk resonators for interconnect applications”, Optics + Optoelectronics International Symposium, 15-18 April 2013, Prague, Czech Republic, SPIE Proceedings. (2013). Xu Sun, Fei Lou, Lech Wosinski, “Study of Plasmonic Analogue of EIT Effect based on Hybrid Plasmonic Waveguide System,” Asia Communications and Photonics Conference (ACP), Beijing, China, Nov. 12-15 (2013). Fei Lou, Daoxin Dai, and Lech Wosinski, "Ultracompact polarization beam splitter based on a dielectric–hybrid plasmonic–dielectric coupler," Optics Letters, 37(16), 3372-3374 (2012). Fei Lou, Zhechao Wang, Daoxin Dai, Lars Thylen, and Lech Wosinski, “Experimental demonstration of ultra-compact directional couplers based on silicon hybrid plasmonic waveguides,” Applied Physics Letters, 100(24), 241105 (2012). Lei Lei, Yu Yu, Fei Lou, Zheng Zhang, Lei Xiang, Xinliang Zhang, “A simple experimental scheme for M-QAM optical signals generation,” Frontiers of Optoelectronics, 5(2), 200-207 (2012). Fei Lou, Zhechao Wang, Daoxin Dai, Lars Thylen, and Lech Wosinski, “A sub-wavelength microdisk resonator based on hybrid plasmonic waveguides”, 5th International Photonics and OptoElectronics Meetings, November 1-2, 2012, Wuhan, China. (2012). Fei Lou, Zhechao Wang, Daoxin Dai, Lars Thylen, and Lech Wosinski, “Photonic devices based on silicon hybrid plasmonic waveguides”, Asia Communications and Photonics Conference (ACP), November 7-10, 2012, Guangzhou, China, paper: AS2H.2.(2012). Fei Lou, Xinliang Zhang, Lech Wosinski, “Transmission characteristics of a novel grating assisted microring,” Proc. of SPIE 8308, 83080A-1 (2011).